Most of us read a next book based on an author’s last book. I know I do. But what if that next book is very different to that last book, even if the writer’s very recognisable style is still there, their voice, and their certain way with words that we love? Would you be excited at the change, annoyed at not getting what you thought, or just go with it and what the hell because you trust in the writer? I’ve read a few blogs/posts recently by writers who have switched genre. Even micro genre, as in a genre within a genre. Whether that’s under pressure or by choice, the fear remains the same; is this a risk that will pay off or will it end my career for good? 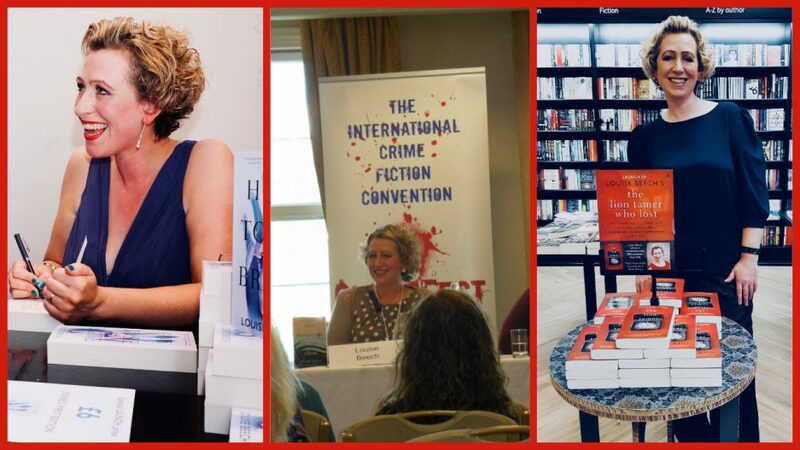 I talked to Miranda Dickinson and Barbara Copperthwaite about this at Harrogate Crimefest recently, and how we all have books written that might be our ‘risky’ ones. We love them, but will anyone else? Most of the books I’ve read by these genre-switching authors have been incredible and seem to be doing very well. Among them is Claire Allan’s Her Name Was Rose (she went from romance to psychological thriller, and how) and John Marrs’ Her Last Move, which I had the privilege of reading in its early form and is ‘more police procedural than previous.’ Judging by the great advance reviews, no one is complaining. But I wonder if some ‘risk’ books sink, and we never know about it, and that’s the fear. No one wants to sink. Having never belonged to any genre, I didn’t think this was a dilemma I’d ever face. It was due to the fact that I couldn’t be pigeon-holed or put into a clearly-labelled box that it took ten long years (and four novels and about twenty-eight million rejections) to get a book deal. It was also due to this fact that I’ve always felt free to write what I choose. I can’t write any other way. I just can’t. It isn’t down to stubbornness or being awkward or trying to be pretentious – it’s simply the way I do it. All writers have their way. Some plot. Some don’t. Some like the confines of genre. Some don’t. Some eat eighty-four custard creams before starting for the day. For me, the story occurs, and I write it. I can’t force that story to fit a form. Okay, maybe I’ll admit here that word is won’t rather than can’t; I probably could if my children had been kidnapped and it was the only way they’d be returned to me. I wrote book five last year. Star Girl. The use of girl in the title is a risk in itself – come on, all the girls are gone or on trains or in windows or in certain apartments, and we’re probably sick of them – but I humorously refer to this trend within the novel, and therefore I might just get away with it. Besides, there simply was no other title. You’ll see why if you ever read it. (My stomach just turned over at the very thought.) Only two people have so far and they are related to me and probably very scared of me therefore. The story came to me as vividly as my other novels did. I saw Stella McEaver working her final late-night radio show; isolated within the studio walls; coping with a mother who has returned to her life after fourteen years absent; obsessed with a boyfriend who likes to dabble in very dark games; knowing that whoever killed local pregnant woman, Victoria Valbon, is still out there; taking calls from a man who says he knows everything. When I finished the first draft, I realised it was a psychological thriller. I never intended this. It was dumb of me to not to click when there’s a murdered woman at its core, and one of five of the main characters may or may not have been involved. And I realised (with abject terror) that it is very different to my other books. Which people have said are all different to one another too. But maybe this is more different. I don’t know. I just know I’m scared. It’s pencilled in for 2019. But do I pencil in the book I’m now writing for next year instead, and move Star Girl to 2020? Do I give readers another emotional-drama-type-thing first (no genre name for that) or risk my risky one first? After some amazing early reviews of The Lion Tamer Who Lost I fear that readers will expect more tears from me. More heartbreak. More tragedy. Not murder. Not which-one-did-it, as opposed to whodunnit. I can’t promise that I’ll deliver what you expect. There’s a rebellious side of me that doesn’t want to do that. A side of me that wants to write erotica. Wants to write a ghost story. A horror. But I can promise that every single book I write I give a chunk of myself to it. Every character I create, they are as real to me as my own family or friends, even though I don’t tend to treat them very well. Every word I string together will be with care and effort and endless rewriting. Don’t oppress me, my books scream at me. So I don’t. I write what comes to me. Bugger where it takes me. I’ve had fun. It was an absolute blast writing Star Girl. God. I just hope it’ll be a blast to read in 2019. Next > Have you written your best book yet? And as synchronicity is often a thing with you & I, just saying – the word ‘girls’ appears in the title of my new one! Good luck, Louise – whatever you write – & whenever Star Girl & We Are Our Own Ghosts (wicked title) hit the ground, they’ll run. I know they will. I don’t know about anyone else but I’m bloody excited! I like where your books take me….. I have loved all your books so far, not really bothered which genre they fall in or out of, I just like the escapism they provide and the inner emotions they unleash! I love Frank Zappa. He fits into no musical genre. He can be offensive, comforting, trite just for fun or unknowingly deep. He can take you down a well trodden path with his art and still surprise you each time you are subject to it. He can make you laugh and cry in equal measure and his songs can take you on a huge journey packed with emotion. He is the one person I would liked to have met that I never got the chance to. Louise Beech is the Frank Zappa of Authors. I have met her. I am glad.